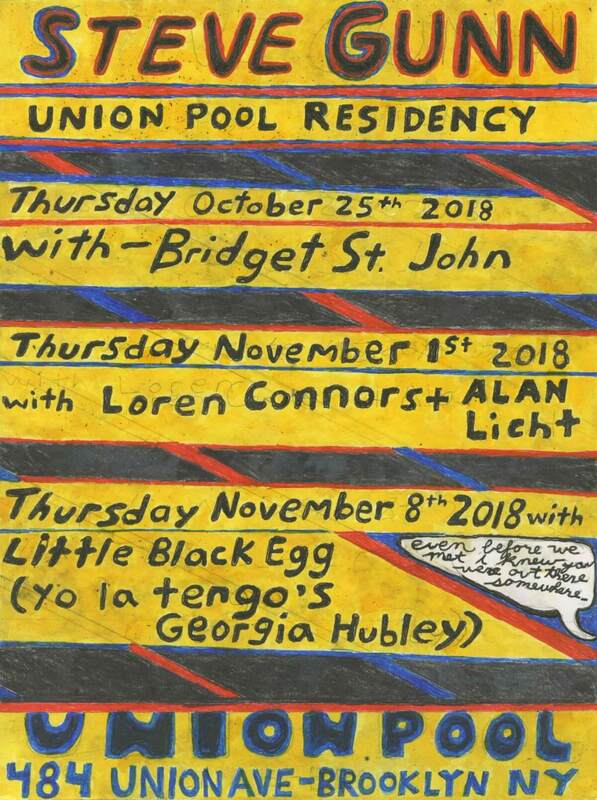 Steve Gunn has announced a residency at Brooklyn’s Union Pool across three nights this Fall. 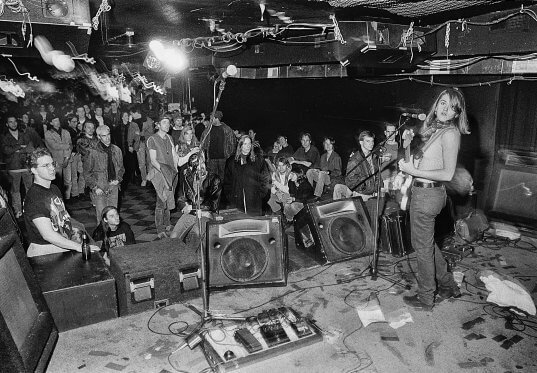 Each night features guest performances, including appearances by Yo La Tengo’s Georgia Hubley, Bridget St. John and more. Tickets are on sale now. 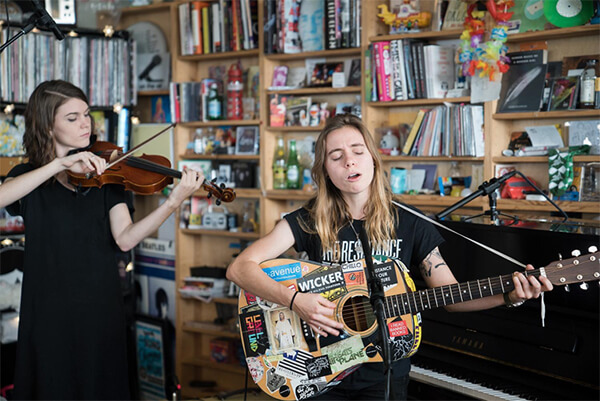 Julien Baker is currently touring throughout North America in support of her recent release Turn Out The Lights. 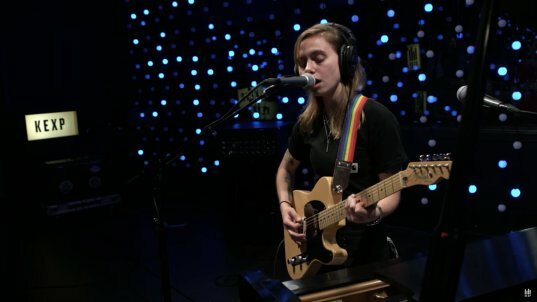 In May she performed four tracks from the album at the KEXP studios, which are online today. Julien performs today at Pitchfork Music Festival at 5:15pm CST. Her set (as well as Lucy Dacus’s at 2:30pm CST) will be live-streaming from Pitchfork’s YouTube Page. 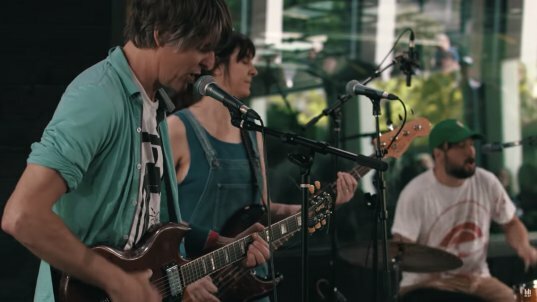 During the first leg of Stephen Malkmus & The Jicks’ Sparkle Hard tour, the group stopped off at KEXP’s Gathering Space in Seattle to play tracks off the new album. Those performances are online now, and The Jicks are back on the road too, performing tonight at Slim’s in San Francisco. Before their show, they’ll be live-streaming a session at Light Rail Studios at 6pm EST/3pm PST, which you can watch HERE. The Jicks are back on the road beginning next Tuesday in Petaluma, carrying on to a few more sold-out dates in California. See their full itinerary below, including UK/EU dates in October. 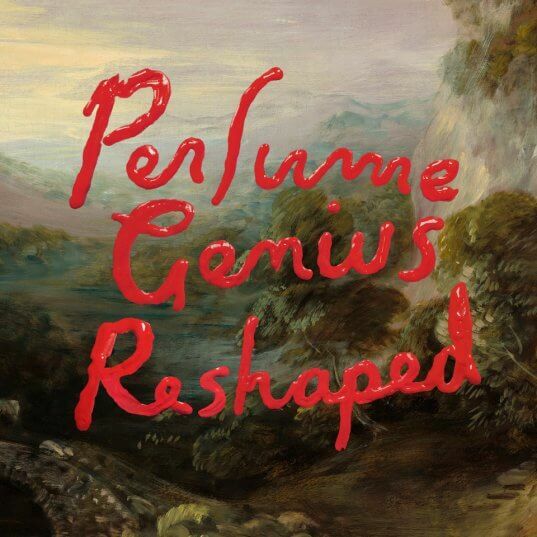 Perfume Genius’s Reshaped, an EP of No Shape remixes, is out today. The six new tracks feature takes from King Princess, Blake Mills, Mura Masa, among others. Stream the full EP here. Perfume Genius will join Belle & Sebastian in performing at Forest Hills Stadium in Queens NY tonight. See his full itinerary, including dates with Florence + The Machine Below. Snail Mail’s debut LP Lush is out in the world this Friday, and the band begins touring today with two dates supporting Belle & Sebastian before playing a sold-out release show at Music Hall of Williamsburg on Thursday. Beginning this week, Snail Mail will be carrying postcards on the road, free for you to grab at your local show. Fill it out with your own message or drawing, send it to the address listed on the postcard, and if Lindsey chooses your card, you’ll win a box of her favorite records from the Matador warehouse. If you won’t be at an upcoming Snail Mail show (I don’t know what kind of tragedy would cause this to happen) but would still like to participate in the contest, the postcards will be included in Lush pre-orders and available at local indie retail stores. Lindsey will pick the winner on July 4th. Adding to an already extensive itinerary, Snail Mail has announced support of Alvvays at upcoming doubleheaders at Brooklyn’s Warsaw and Toronto’s Danforth Music Hall this Autumn. Tuesday, June 12 Black Cat, Washington D.C. 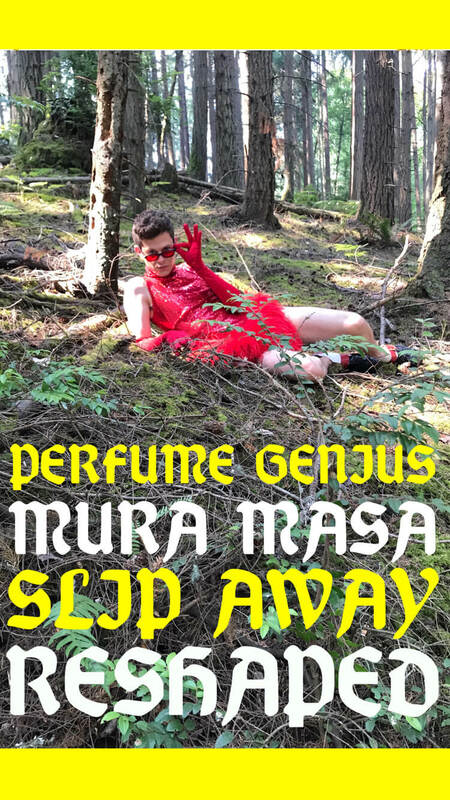 Following Perfume Genius’s announcement of Reshaped, an EP of six No Shape remixes, and the premiere of King Princess’s remix to “Run Me Through,” Mura Masa released a remix to “Slip Away” today. Stream the track here. Reshaped is out next Friday, June 8th, pre-save the EP here. 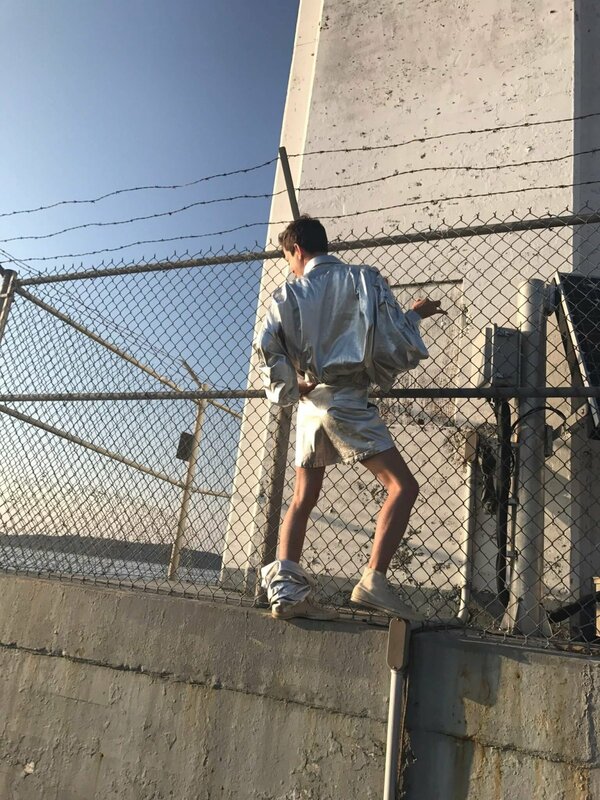 Perfume Genius also recently extended his Summer and Fall routing to include new dates with Florence + The Machine. Tickets are on sale for those performances tomorrow, the remaining dates listed below are on sale now. Stream “Let’s Find An Out” here. 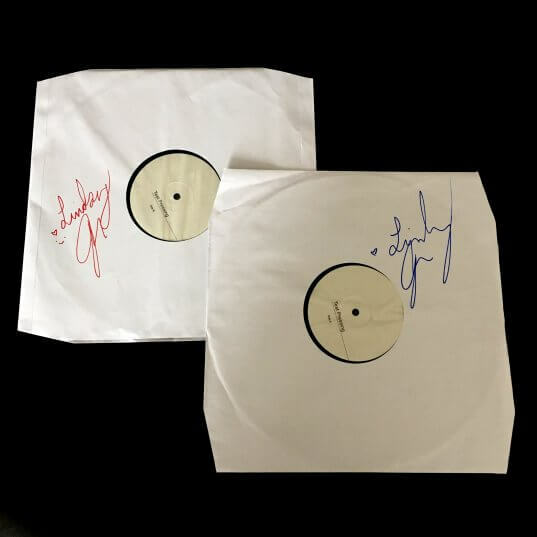 Lindsey Jordan is also signing and giving away two Lush test pressings, one American and one European version, to two lucky customers who pre-order the record. You’ll be automatically entered to win by purchasing here in the U.S. or here if you’re in The U.K. / EU. 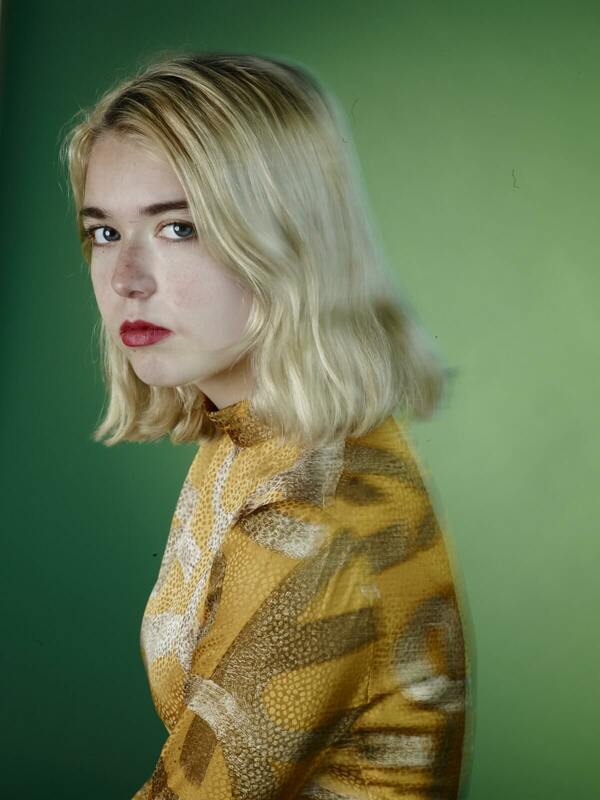 See Snail Mail’s tour schedule throughout the the summer below, including newly announced dates in Europe, and at The Dome at Tufnell Park in London on Thursday, October 25th. 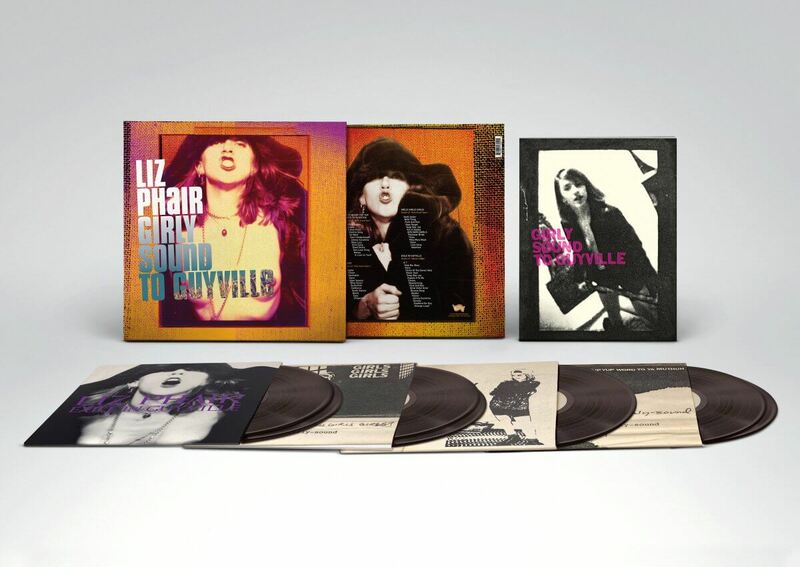 Liz Phair’s comprehensive early-career retrospective, Girly Sound to Guyville: The 25th Anniversary Box Set is out today. The 56 tracks include Phair’s three Girly-Sound tapes, as well as her seminal 1993 debut LP Exile in Guyville, remastered by Emily Lazar at The Lodge. 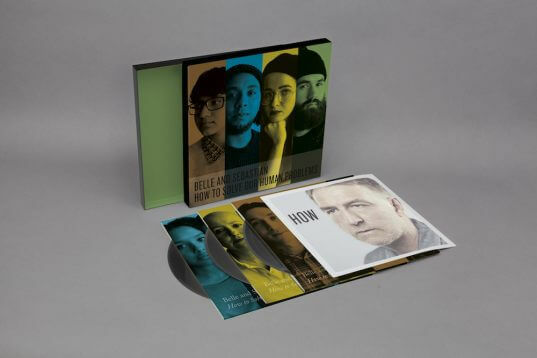 The LP box set is now sold out on the Matador web-store, but copies are still available via indie record stores and third-party online retailers. The team at our subterranean web development bunker has manufactured the “Guided Listening to Guyville” playlist to help digest all of Phair’s newly available material. The site that features lyrics, facts and live videos for each song in the expansive release. Check it out here. 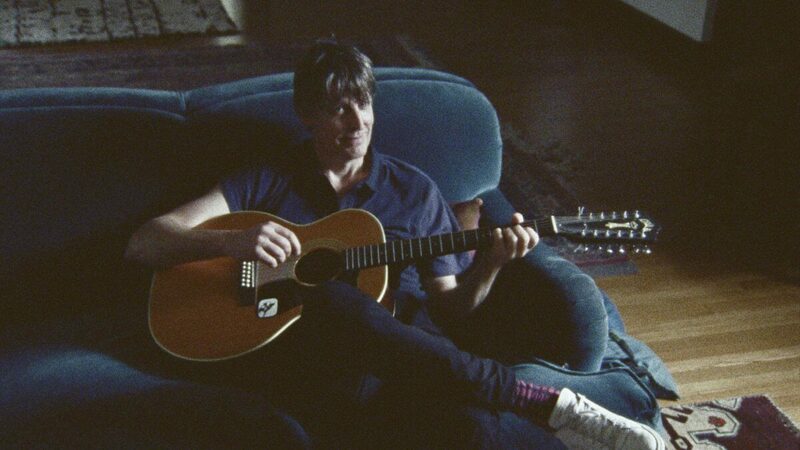 Also premiering today: a newly remastered version of the video to “Never Said,” from Exile in Guyville. This video follows the recently reissued “Stratford-On-Guy,” also restored from its original masters. 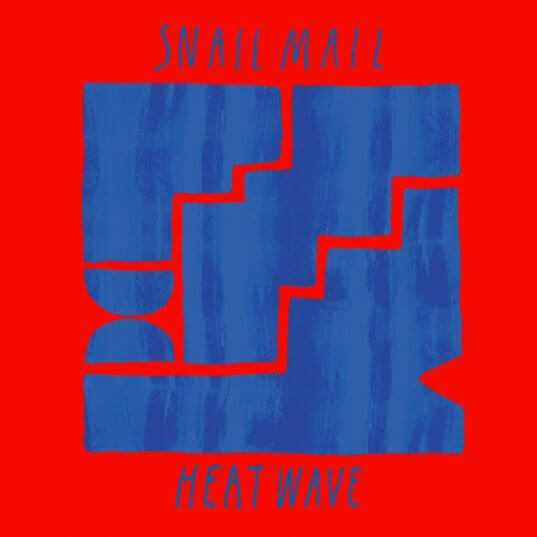 Following last month’s single “Pristine,” Snail Mail released “Heat Wave” today ahead of her debut LP Lush. The video, directed by Brandon Herman, features Lindsey Jordan showing off her high school varsity hockey chops and not-to-be-overlooked air hockey skills to boot. Lush is out on June 8th, pre-order the record here, and bundle it with a new Snail Mail t-shirt here. 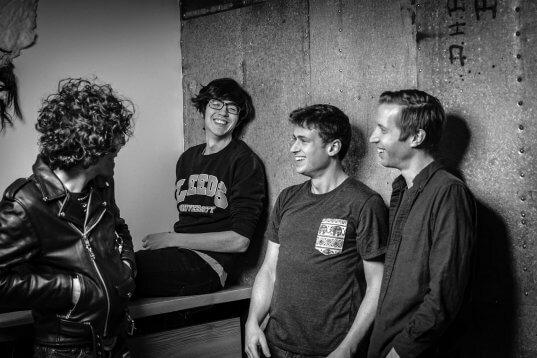 On the heels of releasing Twin Fantasy (Mirror to Mirror) for the first time on vinyl this Record Store Day, Car Seat Headrest have extended their North American tour through September, adding to previously announced headlining dates and festivals in The U.S. and Europe. Tickets for newly announced shows are on sale this Friday at 10am Eastern. Tune in to KEXP today at 3pm EST / Noon PST to hear Car Seat Headrest perform with their extended live lineup: Listen Here. Belle and Sebastian have released a video for “Poor Boy,” a track from EP3 of How To Solve Our Human Problems. 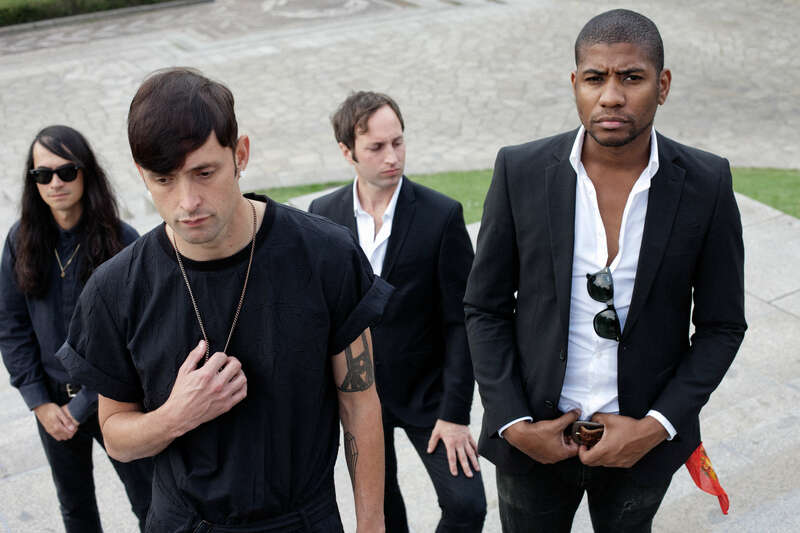 The video, which features Stuart and company on a normal evening off, is directed by Oscar Sansom & Ciaran Lyons of The Forest of Black. 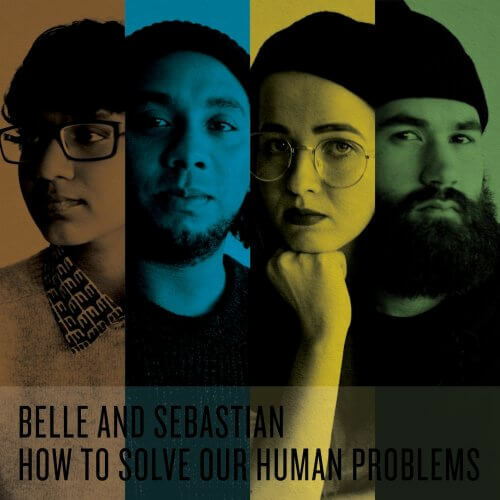 In conjunction with the release of the new video, the group has also announced “The Belle and Sebastian Mixtape Maker,” which allows you to create a sharable Spotify playlist and customized image that replicates the How To Solve Our Human Problems cover. 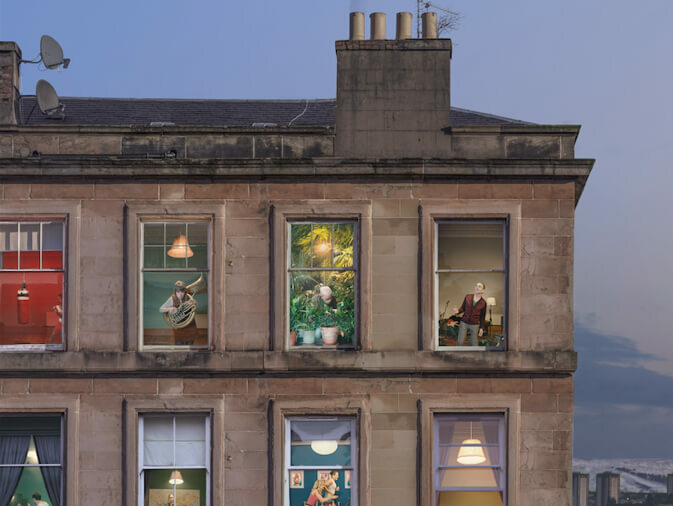 Belle and Sebastian are currently on tour with Julien Baker in the United Kingdom. They’ll be touring North America this June, with support from Snail Mail, Perfume Genius and others. 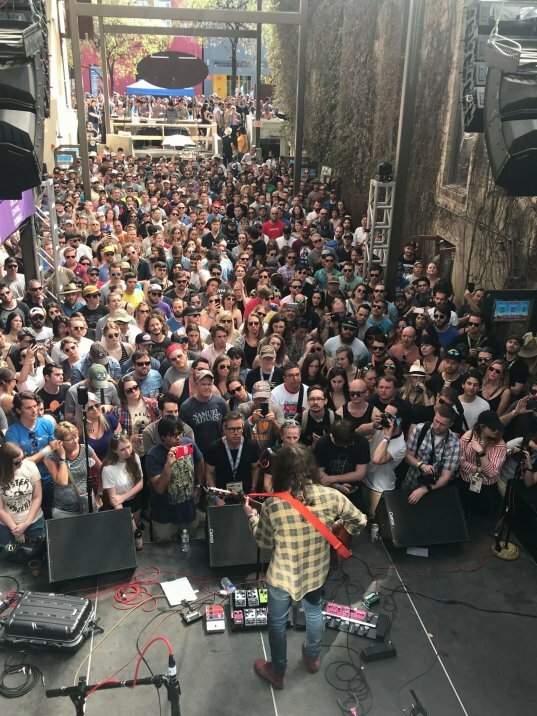 After performing across Austin TX last week, at Willie Nelson’s ranch in Spicewood, and at a few SXSW showcases, Kurt Vile has announced his first American shows with the Violators in over a year. The full Violators line-up, which includes Vile, Rob Laakso, Kyle Spence and Jesse Trbovich, will hit the road in June and July. Tickets are on sale this Friday March 23rd at 10am ET. 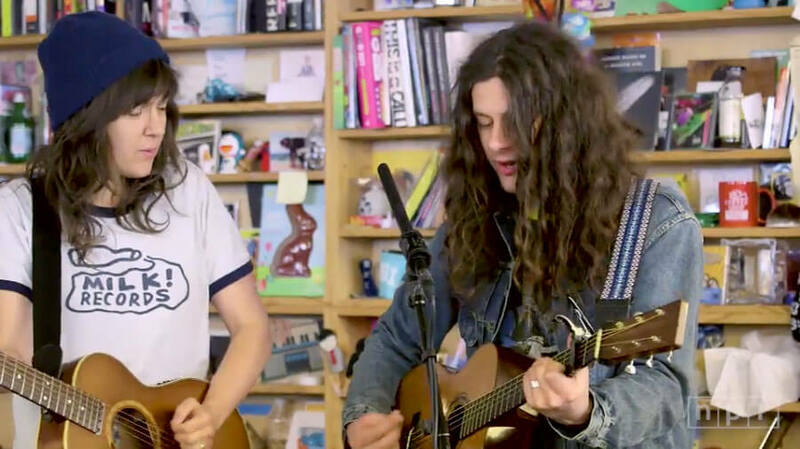 In case you missed it, watch the new documentary “Friends of Wonder,” which features Kurt Vile & Courtney Barnett at The Landmark Lowe’s Jersey City Theater during their Fall ’17 Lotta Sea Lice tour. 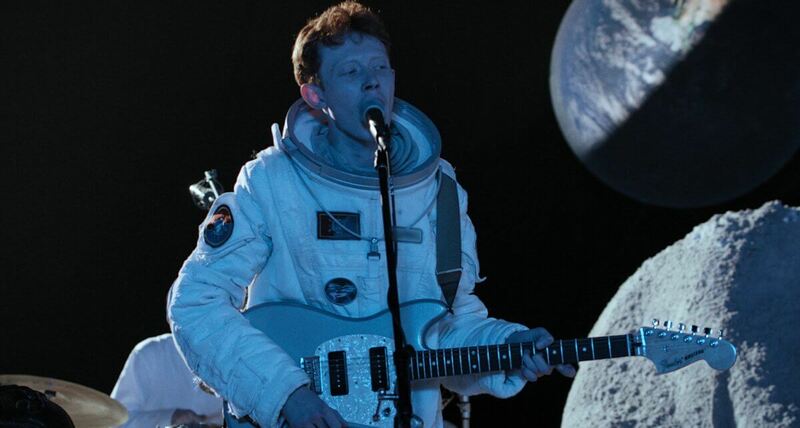 Following King Krule’s recent U.S. tour announcement surrounding both weekends of Coachella, Molten Jets has released “King Krule: Live On The Moon,” an exclusive session featuring King Krule’s full group performing eight tracks from The OOZ. 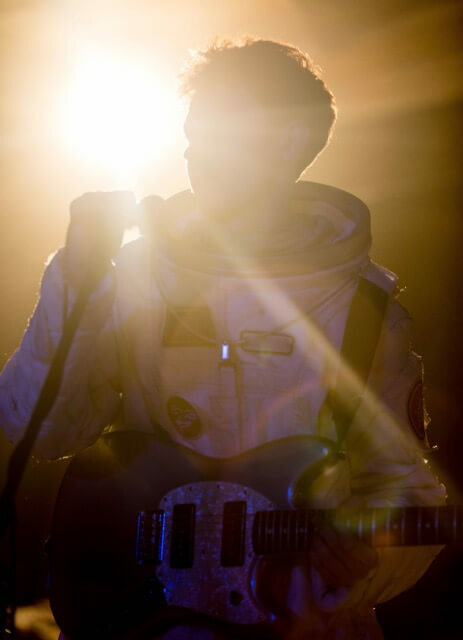 Watch the video at the newly launched website where you can also find a mysterious link to some 12″ Moon Rocks, see upcoming dates, and purchase an exclusive webstore-only baseball cap designed by Archy’s brother Jack Marshall. 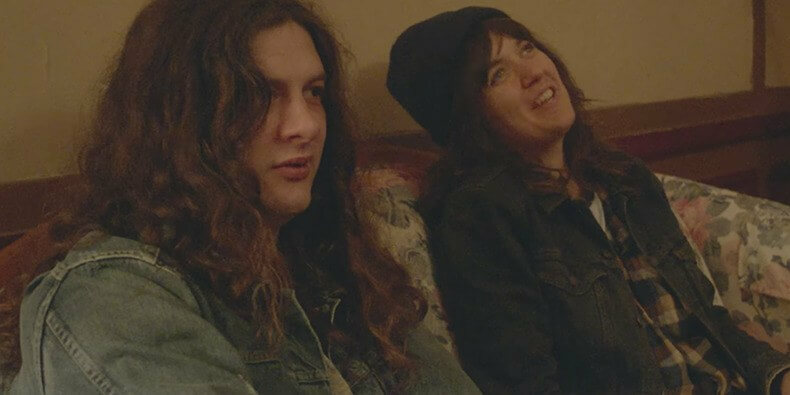 Late last year, during their North American tour with The Sea Lice, Courtney Barnett and Kurt Vile performed at Jersey City’s beautiful, newly-restored Loew’s Theater. During the sold out show, WeTransfer shot footage of the group, the theater and the staff responsible for maintaining the landmark venue. Check out the full site including the documentary, an essay, and photos here, or stream the feature below. 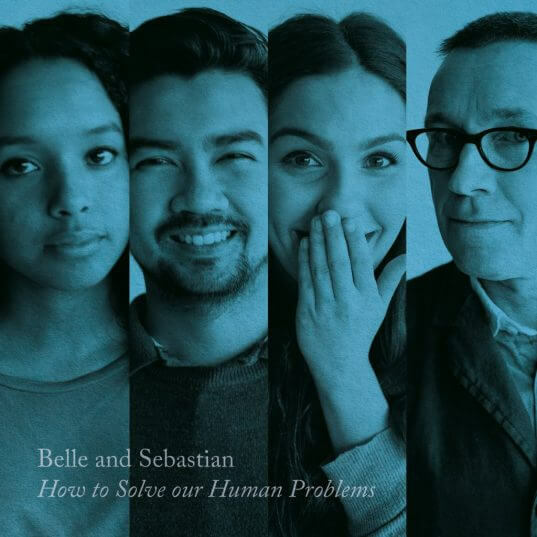 Today Belle and Sebastian released their third EP in as many months, concluding the trilogy “How To Solve Our Human Problems.” The CD version compiling all fifteen tracks from the series is available today too– as is the limited edition box set containing all 3 EPs and poster insert. Belle and Sebastian are on the road in Europe through the end of March, soon to be joined by Julien Baker. 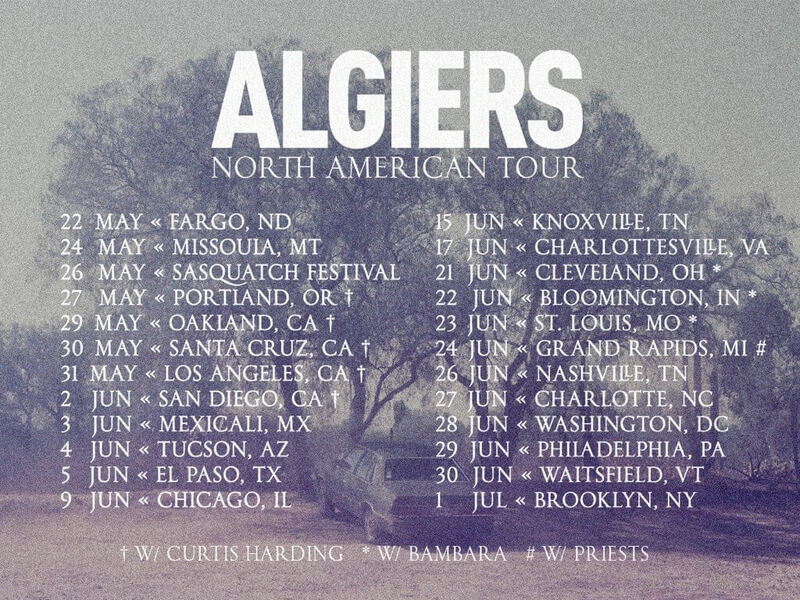 Then they’ll make their way across North America in June, supported on select dates by Perfume Genius and Snail Mail. Tickets for all dates are listed below and on sale now. If all this weren’t enough, the group took a poll this week asking fans to contribute their thoughts to “Bowlie on a Boat,” a European cruise commemorating the 20th anniversary of their self-produced music festival Bowlie Weekender. The poll is live and awaiting your input here. 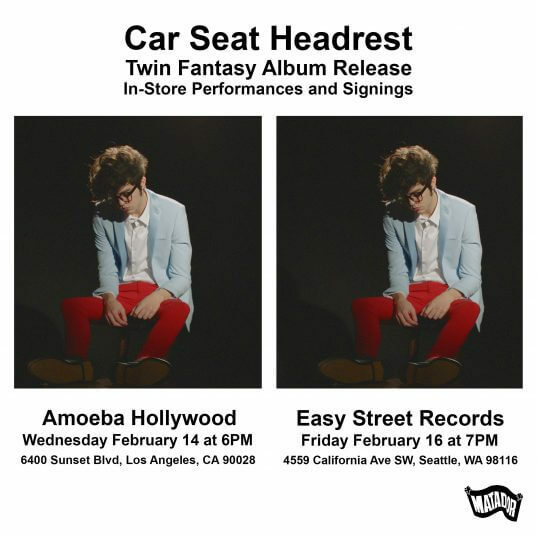 Car Seat Headrest announced today they will visit Amoeba Hollywood and Easy Street Records in Seattle during the week of Twin Fantasy‘s release for in-store performances and to sign the new LPs.